: We make every effort to see that the work is completed to your satisfaction. 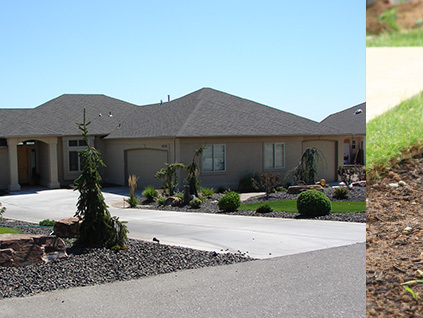 Keep your landscaping lush and attractive with a quality sprinkler system installed by Rainy Day. 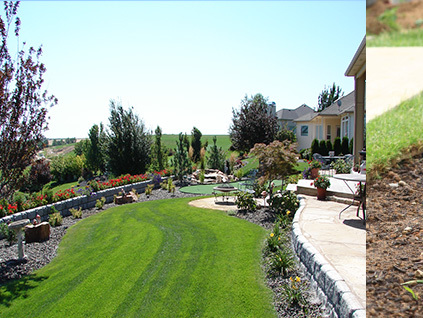 Offering professional landscaping design and sophisticated patios, we can help you transform your Boise, ID, home into a welcoming oasis that you will enjoy for years. Your home is your private retreat and personal castle. You want it to look attractive, feel inviting and increase in value over the years. Rainy Day of Boise, ID, is dedicated to helping you meet those goals. We can transform your outdoor living space with the little extras you need to make your deck a true oasis. While the design of your deck is important, you also want to put a great deal of thought into your landscaping design. The layout of shrubs, plants and trees can make an incredible difference in the overall appearance and curb appeal of any home. We offer full landscaping services, so you can create the living fence you have dreamed of or hide an unsightly foundation wall behind beautiful shrubs. 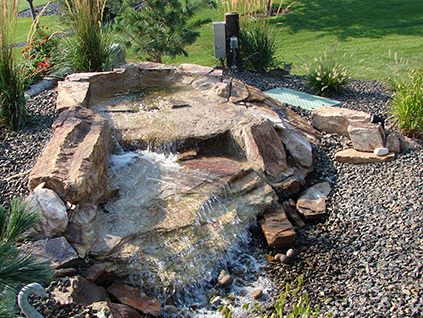 Water features are growing in popularity, and they can help boost the value of your home. From waterfalls to simple ponds and everything in between. 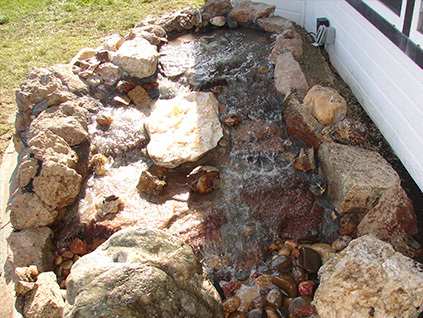 Enjoy a butterfly garden that will add life to your patio, or let us build a magnificent flowing waterfall with rocks and shrubs to add interest to a dull corner. If you already have the perfect landscape installed, trust us to provide you with a quality sprinkler system. 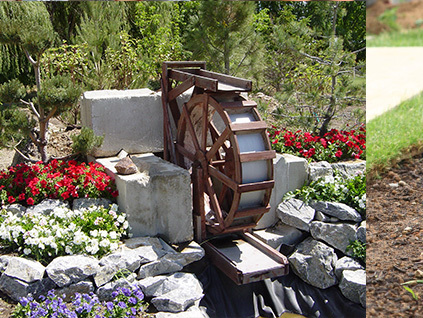 Watering the grass and flowerbeds will be as easy as flipping a switch, or you can set everything on a timer. The grass won’t struggle through droughts, and you won’t have to struggle with moving a heavy hose around. 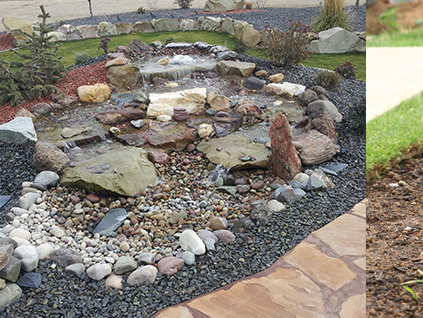 Passionate about creating elegant patios and beautiful retreats, you can trust Rainy Day to provide you with the perfect oasis for your castle.